Product #3809 | SKU AJA00066 | 0.0 (no ratings yet) Thanks for your rating! 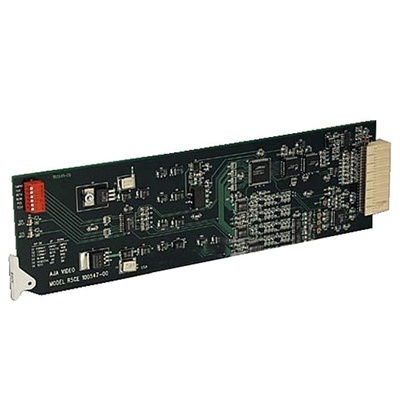 The R10CE is an SDI distribution amplifier and universal monitoring D/A converter. The R10CE provides four equalized and re-clocked SDI outputs along with four analog monitoring outputs. The four analog outputs can be configured to a wide variety of formats including NTSC/PAL, YC (S-Video), YPbPr (SMPTE, EBU-N10), Betacam or RGB. A PLL jitter filter/memory reduces the effects of SD jitter on the analog outputs. The R10CE fits the AJA R-Series rack mount frames, and is compatible with other standard racks.